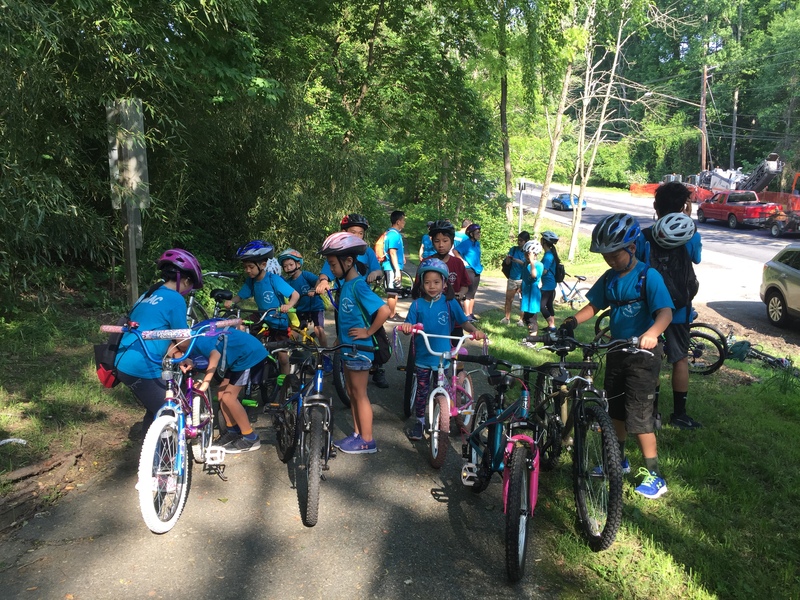 My Junior pack along with the Brownies, Daises, Cub Scout, and some Boy Scouts went biking at 1305 Fairland Rd, Colesville, MD on May 26, where we started our trail. I brought a new bike because my old one was broken. It was a little high and it was the lowest it could get, and there was no time to get another one. I arrived there at 9:00 A.M. and saw a lot of people ready to bike. Then, we got our bikes off my car and went to where other Scouts were. It was hard to get on my bike, but at least I could get on my bike. After we checked our bike safety, we started biking. I did good riding on flat ground and going down steep roads. When we went up a steep hill, we would get off our bikes and walked up the hill. It was really fun but tiring. It was extremely hot and I felt like I was going to faint soon. I was surprised I didn’t fall. I fell a few times later, but I didn’t care. When we were at intersecting paths, we stopped and checked which way we’re going. We did go on the wrong path a few times and had to turn back but that’s fine. Meanwhile, we ended up at 1198 Venice Dr, Silver Spring, MD at the picnic. We ate a variety of food and they were delicious. I biked a little more with some friends and went two rounds around the picnic. We played and splashed water to one another and the parents didn’t like that. Then, I left the picnic at 12:30. I was so tired but had a lot of fun. I think Lien Doan Potomac did this event because they wanted us to have fun and do an outdoor activity together before school ends. I really enjoyed biking and can’t wait to do it next year again!